Help prevent splatter and paint with more precision using these paint shields and trim guides. 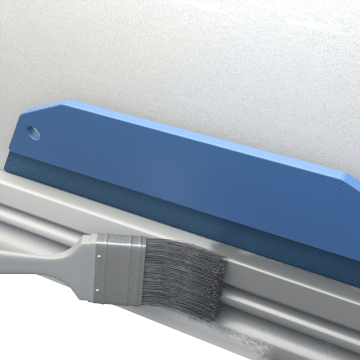 Hold these tools alongside edges to ensure clean lines while protecting areas you don't want painted, such as when you're painting window trim or molding. They can be used with or without painter's tape.